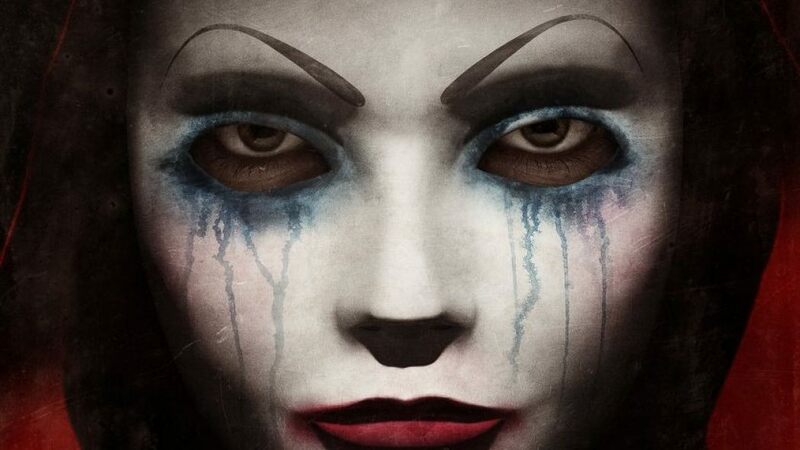 The Girl in the Photographs has famously become the last film credit of the late, great Wes Craven. Craven worked as a producer, so it’s hard to say exactly what creative influence he had over the film. But let’s not confuse this with being a ‘Wes Craven Film’. He did not write or direct this, merely produced. With that out of the way, The Girl in the Photographs tells the story of Colleen (Claudia Lee), a young woman living in the small community of Spearfish. Colleen has a stalker who likes to post images of murdered young women where she will find them. When a Los Angeles photographer (Kal Penn) hears of the story, he feels inspired and travels to Spearfish for a photo shoot based on the dead young women concept. Ok, right off the bat we have a concept that could go either way. To be perfectly honest, I found the plot of the film to be very strange. And not in a good way. But I’m getting ahead of myself. The opening scene got this film off to a great start. It is powerful and terrifying in its subtlety, is nicely shot, and features a welcome cameo from the always good Katharine Isabelle. Then the rest of the story begins. Claudia Lee does almost too good a job as the seemingly bored and distraught Colleen. It’s unfortunate that her performance itself comes across as bored, and in turn her character is completely lifeless. I just couldn’t latch on to Colleen and her plight because of this. As if this weren’t damaging enough to the film, the rest of the characters don’t fare any better in the shallow feeling script. The technical aspects of the movie do a really good job of setting a menacing tone: the music sounds imposing and intrusive, the lighting and quality look of the set pieces are beautifully eerie, and the icy cold abrupt violence is disturbing. The problem with the film that unfortunately negates all of that good stuff is a lack of character development. When the victims start to get knocked off, I didn’t feel too much of a loss because I never was truly invested in any of them. In short: I just didn’t really care. It occurred to me that maybe we were supposed to be rooting for some of these people to die? But the killers were so evil that it was hard to want to see them get their way. The feel of this movie became muddled as it went on; the bad guys were terrible, and the characters all felt annoying or completely lifeless. On a positive note, Kal Penn was fantastic in this. He has this intensity that comes through in his speech that hints at a thousand thoughts going on in his head at the same time. But it never gets annoying or distracting, you just get the feeling that this guy could lose it at any moment. 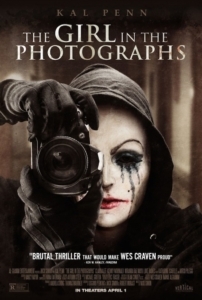 The Girl in the Photographs turned out to be pretty disappointing. The film has some style and some quick bursts of bloody violence that are filmed very well, but it’s not enough to save it from feeling flat. It starts out like a fully inflated balloon, full of promise after an effective opening scene. But as the film plays out, the balloon slowly and continuously deflates until, by the end, you’re left with something you really have no use for and most likely won’t give a second thought to. Sad that Wes Craven’t last film project isn’t a better movie. I do like Kal Penn and of course horror in general, so I will probably see this movie. Sounds like it is one of those one watch only movies. Wish I felt the same, Kyle! I really wanted to like it.